Cristallight Software - Mac CD/DVD label maker and disc cover design software. Mac CD/DVD Label Maker - professional CD/DVD cover designer. If you wish to create beautiful and professional mac CD/DVD labels, cover, double cover labels, jewel cases, case inserts, spines, or you need custom video and MP3 collections, have a lot of family photos and data for backups, or you want to create unique gifts, then you find that the Mac CD/DVD Label Maker is the tool you need. It is a very useful for family, hobby, and office, easy to use, quick and intuitive. The Mac CD/DVD Label Maker contains various built-in disc label paper formats, clipart, background images, and ready made templates provided. Powerful printing features, Implemented Mac Barcode types, Editing Images module, Text Effects, Advanced graphic options, all popular cd label printers support, all these useful features are at your service. Text, graphics, images, backgrounds and templates, can be easily added to your disc label design, as well as various shapes containing color gradients and mac images. Link text between multiple text objects, wrap text around overlapping objects. Import playlists from iTunes, Finder, or text files. Hundreds of disc, cover, inserts, double cover templates are supplied with the Mac CD/DVD Label Maker. 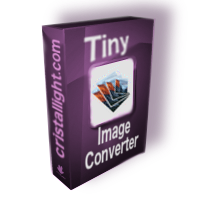 More then a thousand images for backgrounds and clipart in a variety of formats, including JPEG, TIFF, PDF, GIF, etc., are in the product image libraries. Import images from iPhoto, Aperture, iTunes Album Artwork, and Internet. 110 MB of hard disc drive space. If you need the old version with MacOS 10.5 support, download Mac CD/DVD Label Maker version 2.1.0. If you need the old version with MacOS 10.4 support, visit Home Disc Labels web page.